My husband is cheating on me with no remorse, what should I do? This post is not meant to cause any disrespect, however I am seeking any all help that can be provided. Please do not shy away from your comments and be as honest as possible. 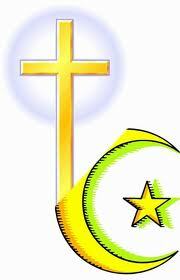 I am an american male, raised christian, and my wife is Muslim. We have known each other for over 7 years and got married when she was here visiting. We lived together for a little over two years after marrying, got her a green card, and she returned home to help take her of her mom due to family issues. I have to admit I know very little about the Muslim religion and culture, so that's why the current situation has been hard to believe and take but I've always known that this may be an issue. A few days ago, my wife told her mom about me and where I am from. She did not disclose any information about my religion, our marriage, or personality; however, her mother immediately stated to her that she was unwilling to approve of me even being a boyfriend to her, let alone a husband. I was hoping that the individuals here would be able to give me some advice on how to proceed. I love my wife with every part of my being and do not want any harm to come to her, nor do I want her to lose her family because of me as well. Through out our relationship my wife and I have talked about me converting to Islam, asking forgiveness, and hopeful become an individual her family would accept. However, due to the recent response from her mom, my wife is now talking of leaving me as to not ruin the relationship with her family. I am completely at a loss here, I have never really had a huge connection with my current religion and I am willing to convert, move to her country, and repent but even after bringing this to my wife she states that her family will still never accept me due to the fact that I am not Arab or Turkish. I do realize the error in our actions, but I am here looking for any help that I can get. Whether your comments are positive or negative all thoughts are welcome. After reading your post the heart of the matter seemed pretty clear to me: your marriage with this lady was never valid to begin with. I'm not saying you don't have a civil marriage or that the state doesn't recognize it, but that's irrelevant when it comes to Islam. Islamically, in the eyes of Allah, she was never married to you. The reason for this because there is no valid marriage between a Muslim woman and a man of a different faith. Muslim women can only marry Muslim men, and if they marry a man who is not Muslim the marriage is voided altogether. So in a sense, it's a little bit understandable why the lady left you. Inaddition to what happened with her mother, maybe she realized the truth she was trying to deny all along, and she knew there was no other way for her to correct it other than removing herself from you. The only way you could be married to her at this point is for you to become Muslim. I don't mean becoming Muslim just for the sake of marrying her, but because you really believe this is where your spiritual journey is leading you. After you become Muslim, you can try to approach her and her family for a proper nikkah (islamic marriage). There is no dating or boyfriend/girlfriend relationship in Islam, so it's a situation where you would either move forward in marrying her under the correct protocols or you leave her alone altogether. As far as her family is concerned, it's not Islamic for them to disapprove of you strictly based on culture or nationality. There are plenty of posts on this site that go into more detail about the wrong in that. Because it's not an Islamically grounded reason to reject a marriage, this lady could technically marry you against her parents wishes if she wants, but it would ultimately be up to her. She may not be ready to make that kind of sacrifice, so be prepared for variable outcomes if you do convert and pursue her hand in lawful marriage. So start looking into Islam. Read a translation of the Qur'an. Spend some time on this. You may find that it gives you peace of mind throughout this difficult time. Try to seperate yourself from your wife at this time - let her know you are looking into Islam. Try to visit a mosque if you can. This God willing will ensure that if you do convert it is for the correct reasons. I apologise for repeating myself. If just wanted to say if you do need any help on your spiritual journey or need questions answering you are welcome to comment on here. If you do convert then Islamically you can marry her. sister I don't think its a good idea to read the translation in English because when things are translated into different languages the translation varies so therefore it is important for him to understand and read Arabic first as this will help him understand the Quran better! No its important to understand the Quran in Arabic often its misunderstood when translated into English.This is because when things are translated into different languages the translation varies so therefore its important to understand and study it in Arabic. You can argue gently. You needen't make the text bold. Yes, the scholars say it is important to understand the Qur'aan in Arabic. But the situation where sister Sara has advised the reading of Qur'aan tranlation is correct per me. This is because not knowing Arabic should not be a hurdle in understanding the Qur'aan. (I have this opinion from the Scholars, too). Something is better than nothing. And by the way, reading a translation is not forbidden. We can read the translation, but it is recommended to read and understand in Arabic. But bear in mind that it is a requirement that the Tilaawah should be done, ONLY in Arabic. What I said above was for the translations / reading to understand. Would also like to add that learning Arabic to the degree that would enable one to comprehend the nuances and layers of meaning in the original text takes years, even a lifetime. Learning quranic Arabic is a lot more detailed than just knowing these letters= that word. I was being gentle the text I typed in did not first appear on the screen when I posted it so I retyped it again. I agree with you 100% here whitelaptop. The translation doesn't even scratch the surface of the true meaning. And every Muslim should seek to learn Arabic to gain access to the Qur'an. I myself have studied Quranic Arabic to degree level since 2007 yet still struggle to grasp the essence of the meaning of the Qur'an. It is so beautiful, SubhanAllah and I pray one day I will find that closeness. At the same time I do use translation as well (of course with the knowledge that there are layers of meaning which I am not getting.) And as Muhammad Waseem has said below it is permissible to read a translation. I would recommend any person considering Islam to read any good English translation of the Qur'an because it is better they do this in English rather than not do it at all. Studying Quranic Arabic in order to understand the Qur'an is very important and something all Muslims should work towards in order to give us true understanding of the beauty of Qur'an, but it is not feasible to expect those considering Islam to spend 10-20 years learning Arabic before they can understand the Quran. A word may have many many different meanings depending on the context. Also there may be hundreds of words in Arabic for one word in English and each word has a very slight different meaning. So I advise the brother to do read a good translation of the Qur'an and if possible some good Qur'an tafseer (explanation of the Qur'an) to help understand the context. Keep contact with some brothers from the mosque and do ask if there is anything you want further information on or anything in the Qur'an you want explaining. Careful not to overload yourself with explanation texts though. The Qur'an is such that if ones eyes and heart are open it provides guidance but if ones eyes and heart are closed the person is misguided. It has a solution for every problem if we approach it with an open heart and mind. Try it one day: you have a problem. Do wudhu open the Qur'an on any page and read it in Arabic. Read the translation and also the tafseer if you can. You will InshaAllah find an answer to your problem. Allah swt speaks to you specifically through it. SubhanAllah. For those who wish to study Arabic I can't name all the institutes but in UK there are some recommended ones including Tayyibun & Ibn Jabal. Or you can teach yourself. Do it for Allahs sake and you will be rewarded and be successful InshaAllah. I'm not saying one can't read the translation but what i am saying is that it is better to understand it in Arabic because compared to English Arabic is more complex and their are certain words which can't be translated into English because it may not exist in the English dictionary this could change or alter the exact meaning of the verses. And the person reading the translation might misunderstand what the actual wisdom and meaning behind the words. That's true, without any doubt, it is better to understand it in Arabic. Allah's Words are Pure and no other language can do justice to the Words of Allah. May Allah make us understand His Word, as it should be understood. Ameen to your dua Muhammad Waseem. When I first started I was hoping to do it in a few years - how wrong I was. Once you have the understanding, there are other deeper layers to study. Yes that is what we are all trying to say, no one is disputing that understanding the Qur'an is the best way by far. In fact we all agree. So although I advised someone to read a translation it does not mean that I necessarily believe that it is as good as understanding the Qur'an. Quite the contrary in fact. It is very different. Had the author had been a Muslim, I would have (and have on numerous occasions) advised them to learn Arabic. So things have to be context-dependant. Hey , after reading your post, you sound like a lovely caring man. your wife shouldn't be thinking about leaving you because of her family not approving off you! I'm sorry to say this but she should have really thought about all her family before getting married to you. Its not fair on her saying she wants to leave you as her family is not happy. You should talk to her and make her understand, at the moment she is going through a difficult time, but if she loves you truly she should face all her problems, she should speak to her mother and tell her the truth. It may mean that her mother may stop talking to her, or be upset with her. But how long will that last for? A mother will eventually forgive her daughter. So your wife shouldn't give up her marriage. Before getting married she should have thought about all the consequences she was going to fave. And in terms of converting to islam, don't convert because you don't want to lose your wife..only accept islam if you deeply accept the religion and believe it allah. In short , I would say that , your wife married you for the sake of green card and is now using her mother and her culture to get rid if you . I don't know whether this is true or not but you said that all positive and negative comments are welcomed , so there you go . I can't think of any thing positive .